Open to UltraTune Customers in Australia who are AU residents and 18+. 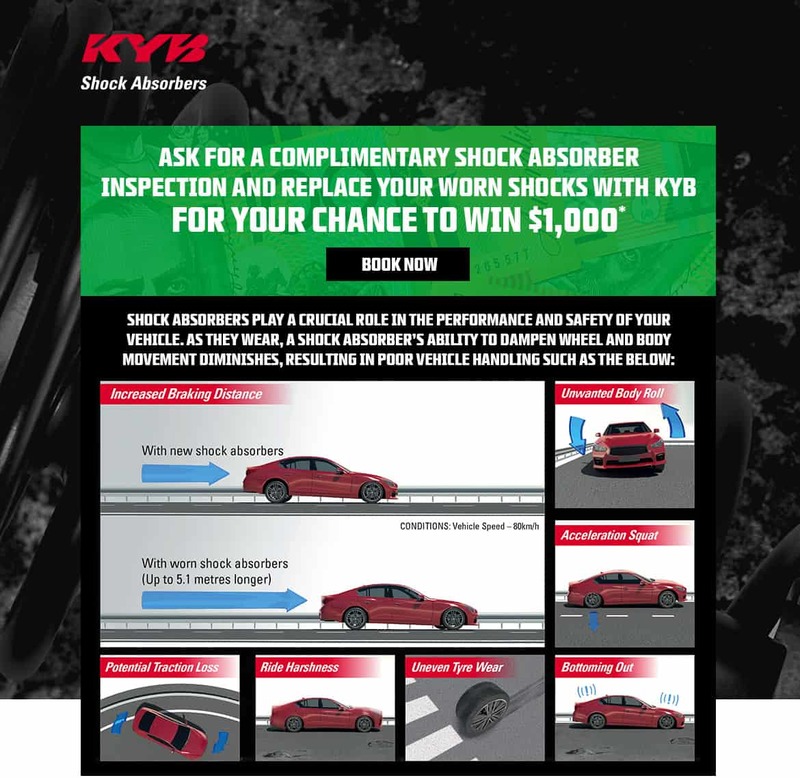 One entry per pair of 2 KYB Shock Absorbers/Struts purchase and installation. Promotion commences 01/02/19 and closes 31/03/19 at 5:30PM. Total prize pool $1,000. Eligible Entries must be registered at www.ultratune.com.au/kyb by 12/4/19. The Promoter is NGK Spark Plug (Australia) Pty Ltd (ABN 94 005 601 294) of 6 Kingston Park Court, Knoxfield, VIC 3180. NSW Permit No. LTPS/18/30206.